Rendering services provided by Plastech Windows are an ideal option if you are looking to protect your property from the outdoor elements. 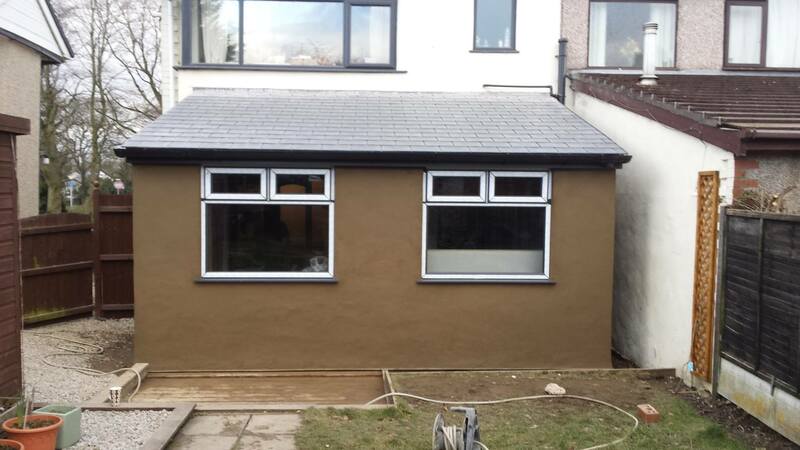 We offer external rendering for both commercial and residential properties. Our team are fully qualified plasterers so you can be sure that our services will be carried out to a high standard and in line with health and safety regulations. Rendering is a process that involves coating the exterior of a building with a protective coating. The main advantage of this is that it protects the building from weather damage such as damp, mould and various other issues. We can also mix our plaster with a weather resistant paint or coating to add an extra layer of protection and diminishing the need to paint over the rendering, essentially making it a two in one job! Our rendering comes in a variety of finishes, including smooth stucco, tyrolean and pebble dash, all creating different effects but providing the same amount of weather protection. We will also add a layer of resin based coating that will protect the finish of the rendering, so we can ensure ultimate durability. DO YOU NEED RENDERING REPAIRS? If the rendering on your home or commercial building is damaged, we can repair it for you and recoat it. We will always make sure that the repair blends into the rest of the building as closely as possible, so that not only is it protected but it looks good too! So for more information on our rendering services and for a free quote, call our team of experts today on 01524 417232.